Ända sedan Leksand slog Brynäs i SM-finalen 1978 har jag varit brynäsare, och för det mesta har det varit i dur och med stolthet. Men efter förra årets elitserie var det inte så konstigt att man hållit en låg profil hittills iår. Men nu törs jag nog hoppas lite i alla fall. Ledning i årets Elitserie efter 6 omgångar är inte fy skam. Senast igår slogs MoDo tillbaka med 5-4 och det känns som om man åtminstone inte ska behöva hamna i kvalserien iår även om det ännu är långt kvar. Det blir att bekänna färg på lördag när Linköping kommer på besök i Läkerol Arena. Men jag är förhoppningsful obotlig optimist som jag är. 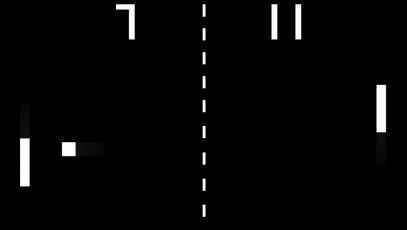 Jag minns inte exakt när det var, kanske julen 1975 eller 1976, jag och min bror fick ett TV-spel som hette Pong i julklapp. En stor och bulkig låda med två rattar och en knapp i mitten. Man kopplande in den på antennuttaget på TVn och sedan dök de nu klassiska strecken och pricken upp. Vi hade en gammal svart-vit TV på vårt rum som vi fått några år tidigare när våra föräldrar köpt en sprillans färg-TV. It's amazing to see how fast technology evolves. Supercomputers have always been gigantic. 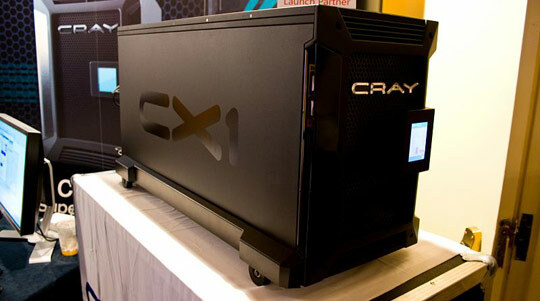 Cray has come up with a supercomputer that will fit underneath your desk. It's called the CX1. Soon, we will see houses and homes run by supercomputers, being able to do what PCs aren't yet able to do. With one centralized supercomputer, you will just need terminals all over your house, not a whole bunch of different computers. Internal Fixed Hard Drive 200GB 7.2K RPM SATA 3Gbps 2.5"
Innan jag flyttade utomlands höll jag mig igång i alla fall lite grann. Jag och min kompis Jörgen brukade springa några kilometer en gång i veckan och jag tyckte det var kul. Dessutom tyckte jag mig märka att man var piggare på vinterhalvåret och mindre förskyld. Bara fördelar alltså. Men när jag sedan flyttade till Tyskland blev jag dels av med min löparkompis, dels blev jag lite lat, och på den vägen är det. Men nu hemma i Sverige igen tänkte jag åter ta upp springandet, om än ensam. Mina löparskor dök upp när kontainern kom förra månaden och igår påväg hem från jobbet kom jag plötsligt att tänkta på detta igen. Så jag sprang snabbt in på Stadium och köpte mig en overall, och halv 9 på kvällen bar det av ut. Det blev mycket gå och lite springa på de 6,5 km jag höll på och en timma tog det. Men det kändes bra i alla fall. Det finns nog hopp om livet trots allt, och om man kan fortsätta en gång i veckan nu framöver kanske man t o m slipper riskera en strok före 50 på samma gång. 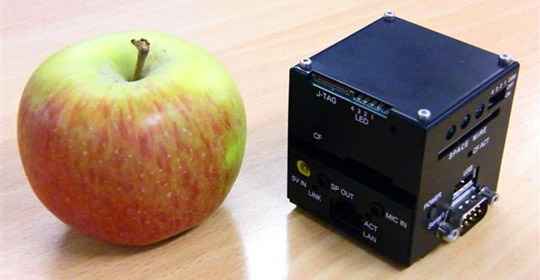 The two inch square Space Cube computer is a first in small form factor. It's smaller than a cup or an apple, yet packs a punch. This is what the future of computing will be, extremely small and portable computers that weigh barely more than a cup of coffee. The Space Cube comes with a 300 MHz processor, 16MB of flash memory, 64MB of SDRAM and a 1GB CompactFlash card loaded with Red Hat Linux. There is a single USB port on the outside, VGA, Ethernet port, RS232 port, a mic and speaker plugs. The Space Cube is powered by a 5V plug. The most important port is the Space Wire port, a proprietary interface used by the space agencies, such as ESA, NASA and JAXA, for when the Space Cube actually goes into space. The Space Cube was built for the computing needs of orbital and space vehicles. The Space Cube will be available soon in Japan for about $2700. The initial estimate was around $325, but the Space Wire port makes the little thing a lot more expensive. Most laptops look the same, especially with PC compatible ones. That's one of the reasons why any laptop that looks distinctive will be immensely popular. It's only recently that laptop manufacturers have started catering to people who enjoy style and function. 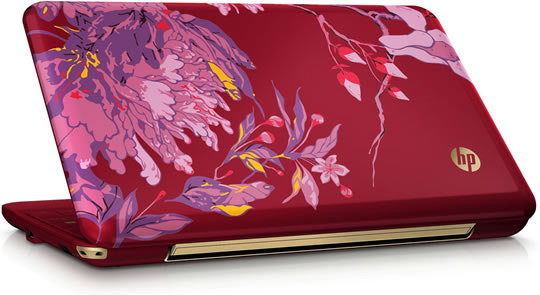 HP has teamed up with world-renowned fashion designer Vivienne Tam to create a special edition notebook. The HP Vivienne Tam Special Edition notebook represents the first time a computer company has partnered with a globally renowned designer to create a notebook PC that offers all the style and power needed for a delightful technology experience. Tam also worked with HP to design the notebook&#8217;s accessories and packaging. The top of the notebook is gleaming red and bursting with peony flowers. The peony design is meticulously carried inside the notebook, under the keypad. The notebook also features a complementary embroidered storage sleeve that helps keep the exterior protected while being carried as a clutch. This seasons Champions League has started and so has UEFA Fantasy Football. In this game you can put together your very own CL-team and try to get as many points as possible depending on how well your team is doing in the real field. Most of the seasons I've been enjoying this game I started off well, but never as good as tonight. 54 points is a all-time-high for me and I really like to improve in two weeks. Next I need to find out what players did not perform so well and transfer them. 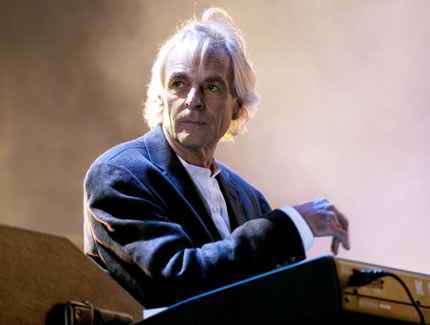 Richard Wright är död. Han blev 65 och var en av legendariska rockgruppen Pink Floyds grundare. - Han var en så älskvärd, ömsint och naturlig man, skriver vännen David Gilmour i sin blogg. - Han kommer saknas fruktansvärt av de som älskade honom. Och det är många människor. Fick han inte de högsta och mest ihållande applåderna efter varje konsert 2006?, skriver David Gilmour i sin blogg. Förutom skivorna med Pink Floyd spelade Richard Wright in två soloplattor och var med i popgruppen Zee på 80-talet. Richard Wrights familj har inte velat lämna någon kommentar till dödsfallet och de har bett om att få vara i fred. After we moved house we got a new cable-tv provider, which meant we lost some channels and got some other new ones. One of the new channels is TCM, Turner Classic Movies, and tonight they showed a real classic and one of my favorite movies - Forbidden planet. But what amazes me about this 1956 made movie is the special effects. Absolutely stunning halls, machines, laser and 3-D effects. Being a computer guy in the computer age I'm can't image how they did all that. There is actually a fourth character in the move - Robby, the robot. Probaby the most expensive extravaganza in any movie until modern age, say 1990 or later. This stunning piece was no trick with light, scissors or camera shots, but the real thing. After the movie was finished Robby ended up in some basement for almost 20 years until showing up for a second time in a Columbo episode in the early 70's. I don't know if it still exists, maybe a remake of I, Robot or something similar can give him a third chance to display himself. Finally set. Last Saturday we did move in to our new place and three days before that we got the old apartment sold. No more obsticles. The new place is kind of controlled kaos but slowly we're getting everything in place. We will need a new table and some other few things but this time I won't go to IEEA, there is already enough of IKEA stuff in our place. And after two "burned out" light bulbs and five days in the new apartment, I finally figured out that the reason my overhead hallway lights wouldn't work was not a problem with the bulbs. I kept flipping the switch at the beginning of the hallway, but it turns out the second switch further down the hallway was the key. No, it didn't control the light. It controlled the other switch. Switch #2 had to be in the "on" position for switch #1 to work and—after much trial and error and walking up and down the hallway—turn on my hallway lights. 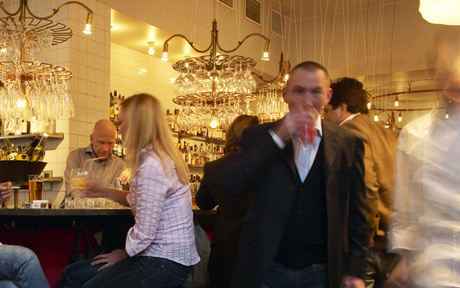 Swedish business people consider themselves lagom, meaning normal. They are often unaware that their international business partners may have a different opinion. Communications expert Colin Moon thinks they are amusing and, at times, really quite odd. Take the Swedish meeting culture for example. Swedish business life abound with meetings. An abnormal amount of meetings. 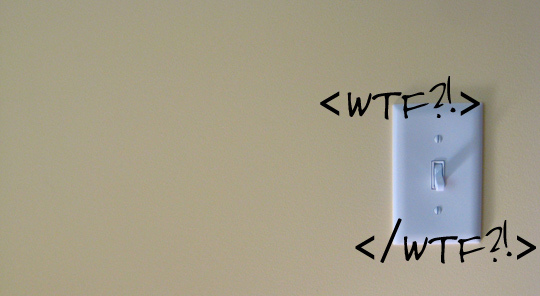 When Swedes say “Mötet gick bra” (“The meeting went well”), what exactly do they mean? There were heated discussions? The meeting went on for ages? An incredible number of decisions were taken? I doubt it. Some people believe that the sole purpose of a meeting is to produce decisions. Swedes, on the other hand, hold meetings to find out whether or not they are at the meeting to decide when the meeting will be to decide when they will meet to talk about what happened at their meeting. Swedish meetings are short but many. They are arranged to give Bengan, Maggan and Lasse a chance to say what they think. If you want to reach a decision, you’ll have to arrange another meeting because in the meantime Bengan, Maggan and Lasse have to go back to the office and ask Ninni, Kicki and Titti (yes, there are girls of that name) what they think. In Swedish this is called förankringsprocessen, the consensus process. If Swedes mention the word “process” you’d better not be in a hurry. There’s a process for everything. This one means getting everybody involved in everything. Everyone voices an opinion and everyone listens. Then they compromise. The word compromise is music to a Swede’s ears. Everybody gets something. Not too much and not too little, but lagom. Nobody wins and nobody loses. They may agree to disagree, but what they will agree on is the exact time and date of the next meeting. Foreigners may get heated, irritated or even angry. In Swedish business life this is called hysterical behavior. Hysteria is abnormal and uncomfortable and should preferably not occur during office hours. You may wonder how on earth they ever make a decision. Swedish business people themselves have sometimes called this beslutsimpotens, which, I suppose, means not having the balls to decide one way or another. Someone once said that if the Swedes gave up their fika, coffee breaks, they could retire five years earlier. Coffee is an integral part of any meeting, either as an on-going self-service affair during the discussions or as a separate break. The coffee break is not to be confused with the briefer, more frequent leg-stretcher, or “bone-stretcher” — the Swedish word for leg and bone is the same. Most Swedes are dedicated to finding a healthy work-life balance. They might say they work hard; it’s just that they are not often at work to do it. 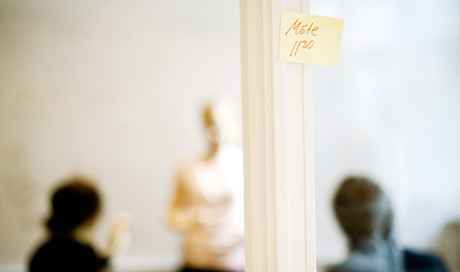 Many companies have flexitime and, when possible, Swedes may also be entitled to work from home. However, fair’s fair — when they’re at work they’re very effective. But not before 8.30 as they make use of their flexitime, and not after 4 p.m., thank you, as they have to pick up the kids from pre-school, and not after 2 p.m. on Fridays, if you don’t mind. Swedes have a fair share of public holidays. In a good year they take as many days off in May and June as most Americans take in a year. And they still have their five weeks’ vacation to take out when it suits them. Not only do they have “red days,” as the Swedes call their public holidays, but they may be given half the day off before, just to get them into the holiday mood. If they’re lucky their office can also give them a klämdag, which is an odd day between a holiday and the weekend. Come May, June and July the weekends and public holidays more or less combine into one long vacation with the occasional day at the office. Despite all of the above the Swedish way seems to be amazingly efficient. The mind boggles. The fact is that Sweden is considered an innovative and creative country, and one successful Swedish company after the other appears on the global market. So, there you are. Time to realize that Swedes may not be quite as lagom as they think they are. And thank goodness for that, because odd as they may sometimes be, Swedish business people have found a recipe for success. Have you done business with Swedes? What was your experience? Feel free to comment below. This article is written by Colin Moon. 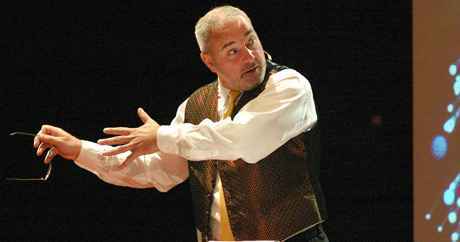 He is an expert in communication skills and speaker with Talarforum. He is a trainer and consultant in English, French and business communication. He has written “Sweden — the secret files”, “In the secret garden of SwEden” and regularly publishes articles in different papers. He is a well sought after and appreciated speaker and moderator at events.